Rugged RigCams : Protect your million dollar equipment! Do you have a camera pointed at your Top Drives? The Top Drive has a great deal of moving parts. It is on a track and the Driller must see if the system is tangled, hung up, or caught. The Driller needs to know if the Top Drive has sprung a leak before it reaches the floor. The Driller must to identify miss-threaded pipe. 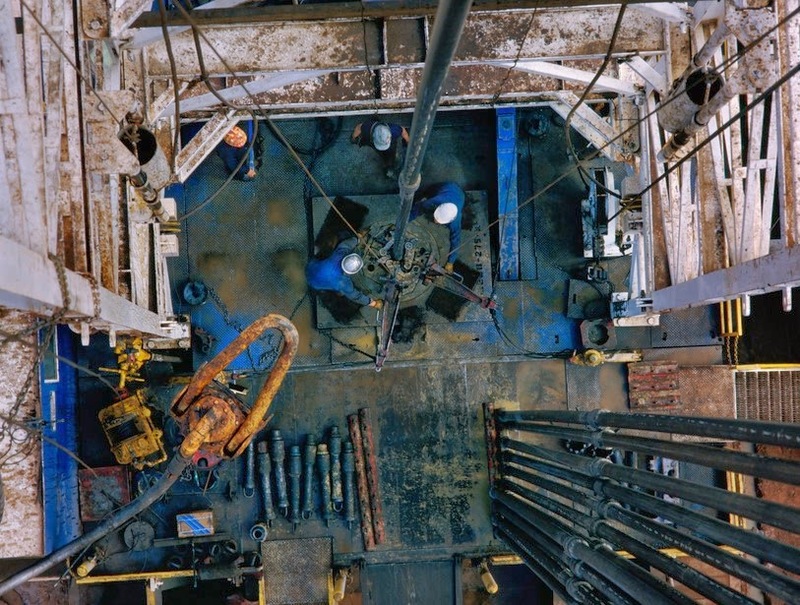 It is absolutely necessary that the Driller maintains a complete overview of the Drill Floor, including the Top Drive, Racking Board, and Shakers. The Driller must be able to locate the crew in a moment during operation. A camera network is the solution to make operations safe and efficient. A camera system makes your drilling rigs safe, secure, and therefore, more profitable. One Nature LLC has the camera solution for you in an easy-to-install turnkey solution. The RigCams Network(tm) is a rapidly deployed wireless camera network. The RigCams Network(tm) is a complete hazardous area Class 1 Division 2 and weatherproof solution. Our unique, permanent, and non-destructive mounts mean no drilling and no welding.